In the run-up to any big summer blockbuster, there are usually any number of tie-in products hoping to take advantage of the cross-promotion possibilities. With Indiana Jones and the Kingdom of the Crystal Skull right around the corner, M&M’s has introduced a new variety, Mint Crisp. I picked up a pack to give them a try, not really knowing what to expect. Upon opening, I was greeted by M&M’s that were colored with the three generic mint related colors of white, light green, and mint green. I was also treated to a slight minty aroma. 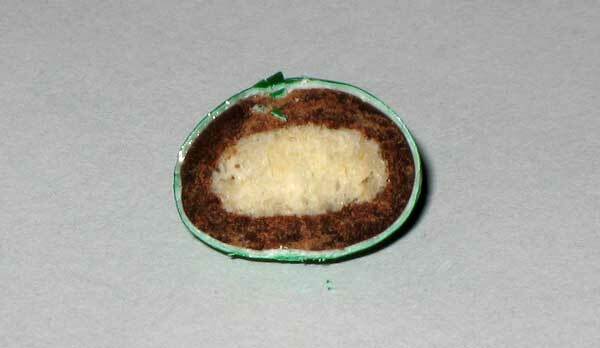 The candies themselves were about the same size as the standard crispy M&M’s, but their shells were less uniform in shape. 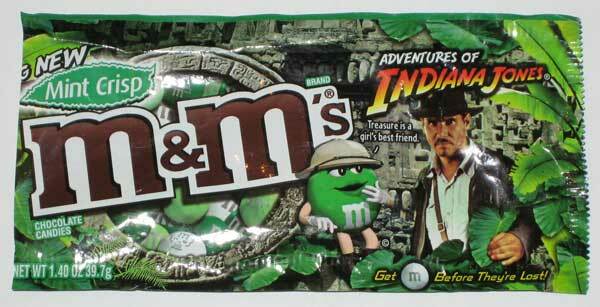 In keeping with the tie-in to Indiana Jones theme, some of the M&M’s have an additional symbol printed on the side with the ‘m’. Upon biting one in half, I could see there was the standard candy shell, a layer of mint, chocolate, and the crispy rice center. As for the most important characteristic of the new variety, taste…they tasted exactly like a crispy Andes mint would. Since Andes are the gold standard of drug-store chocolate-mint candies, this is not a bad thing at all. Would I have them again? Yes, absolutely. joshmadison.com is a collection of thoughts, photos, and WOMBATs of Josh Madison.